Home / Do you know that having a Trading Plan could reduce your mistakes up to 90% when trading? 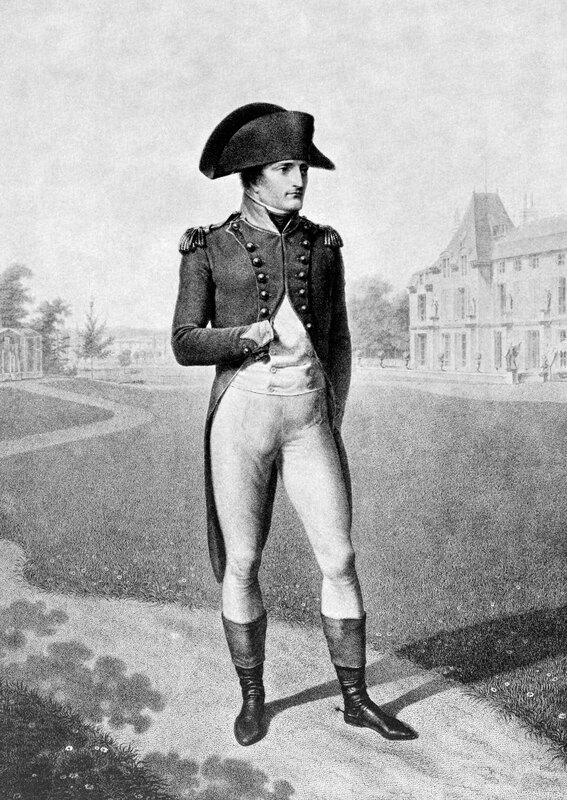 In 1815, Napoleon was back in power and back in business after his escape from forced exile. Every leader in Europe was well aware that if Napoleon would get strong again, blood will run through Europe once more and empires will fall to his feet again. Therefore Everyone who could, sent his army to defeat the Enfant Terrible: The United Kingdom, Russia, Austria, Netherlands, Belgium and Prussia mobilized armies to defeat Napoleon, forming the Seventh Coalition. However outnumbered, Napoleon had a much stronger leadership and a better equipped and trained army. Knowing that his enemies were approaching he decided to take the upper hand and attack first. His first strategic move was to defeat the Prusian leader Prince Blücher so he could avoid him to join the Duke of Wellington’s army which would have made a huge army too big for Napoleon to defeat; he fought Blücher and defeated his army on June 16 at the Battle of Ligny. 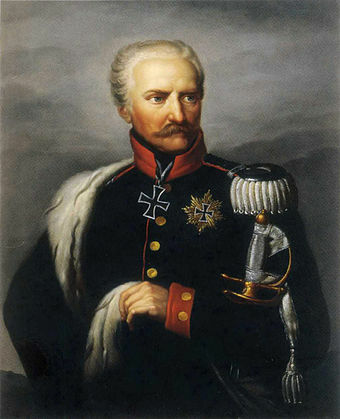 The Prussian Leader had basically amateurs and volunteers for soldiers, his artillery was incomplete and reorganizing; the Cavalry and infantry were mostly unequipped and undertrained. However his leaders and himself were well prepared, they had a very strong line of command and had a plan to strictly follow in case things went wrong, which they did. At the first sign of a losing battle; finding the help of the Duke of Wellington, his main ally, well a day away, and seeing the much stronger French army and tactics, the Prussians strategy was to simply retreat, cutting their losses short, to a safer spot on the north, in a counterintuitive move to still stay close to the Duke of Wellington in case they needed to help each other later on. Napoleon felt so empowered because of this victory that simply didn’t give enough attention to the Prussians retreat, thinking that they will just flee back home to a stronger position. He did send a small army to pursue them but already one day too late to reach tem and stop their regrouping at the north. At this point Napoleon thought that his plan of separating the Duke of Wellington Army and the Prussian Army was already a success. Pursuing the Duke of Wellington, who was retreating after the defeat of the Prussians, all the way back to Waterloo one step closer to the sea, where Napoleon was expecting to drive the Brits and force them back to Britain. The Duke of Wellington was commanding the combined forces from the United Kingdom, Netherlands and Belgium. However bigger in numbers, they were weaker compared to the more prepared and loyal armies of Napoleon which were veterans of many battles and were following Napoleon blindly and even fanatically. The Duke of Wellington chose a good spot to fight (Waterloo) and did a good job holding Napoleon’s forces throughout the day forcing heavy losses on both sides. If you could have seen the battle from above, one could have see that, although with a great effort, Napoleon was much closer to the victory. If he had followed a detailed plan, most likely Napoleon would have never let the Prussians escape after the defeat. Maybe he wouldn’t have attacked a stronger post like Waterloo were heavy loses were foreseeable because it was a good place to defend and a hard one to attack. He was so excited about his winnings that he simply thought of himself as invincible and decided to march and fight the Duke of Wellington, although there were a few factors that were not 100% in his favor in this attack. When things were definitely leaning towards Napoleon the Duke of Wellington famously said: “Night or the Prussians must come”. To his luck, the Prussians had time to regroup and were marching towards Napoleon’s left flank. The decimated French forces that had already fought all day couldn’t stop the Prussians and eventually, Napoleon’s left flank retreated and blocked the right flank’s possible way of retreat. With the confusion reigning in the French troops and without a good retreat plan; Napoleon never thought he could lose a battle so he simply didn’t think what to do in case something went wrong, Napoleon’s Army was defeated at the Battle of Waterloo on Sunday, 18 June 1815, marking his fall from power and his last days as the Commander and leader of the French. War and Forex Trading are quite similar in many ways. We, as retail traders are more like the Prince Blücher fighting Napoleon. We have less capital (a smaller, less capable army) and we don’t have many allies to come to our help in case we guess the price direction wrong. However we can choose what battles to fight and how to fight them; that’s our ONLY advantage and the one thing we can plan and do right as traders. If you feel yourself like Napoleon because you had a few winning trades and stop following your own plan and rules, most likely you will make a mistake and your enemies will take advantage of it and destroy you. In the long run The Market will only reward disciplined and humble traders who understand their strengths and plan for their limitations and know what to do in case things go wrong. Take profit – when are we planning to go out, how much are we expecting to win in case things go our way. Do we intend to trail stops? Do we have a fixed take profit? Should we close half of our position at a predefined point and let the other half run? Together with the specific setups we expect to find in the markets in order to enter the trades and “engage in battle”. After you have defined your trading plan you should print it and stick it right to your trading station, and of course check it every time before entering a trade. As you can see the benefits of using a Trading Plan are enormous and, in my experience using one is the only way I know to protect your capital and achieve success in consistent and long term way. If you want to win consistently simply trade consistently and the money will flow in. Please take a moment to do your trading plan according to your own trading style, your personal rules, and try to think on your limitations, what things make your trading go wrong?, when and how are you chronically making mistakes? What are the strengths of your system? When and how is your system working at it’s best? If you want to share your Trading Plan with me and with the rest of the users of forexlife.me I encourage you to do it. We can help you fine tune it and make it a strong plan that could serve you and change the way you trade for the better in the long run. If you find this article useful, please share it with your friends!